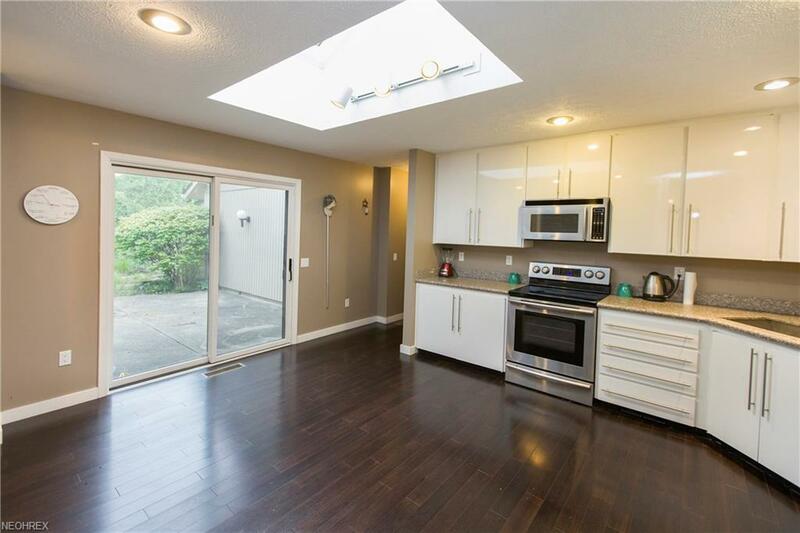 WELCOME to this attractive and contemporary ranch with loads of updates in a tranquil courtyard setting! This open and inviting floor plan has bamboo floors, ceiling fans, recessed lighting, skylights and lots of windows. The bright living room has a wall of windows and great fireplace with accent feature for a flat-screen TV. Dining room features recessed lighting and more windows. 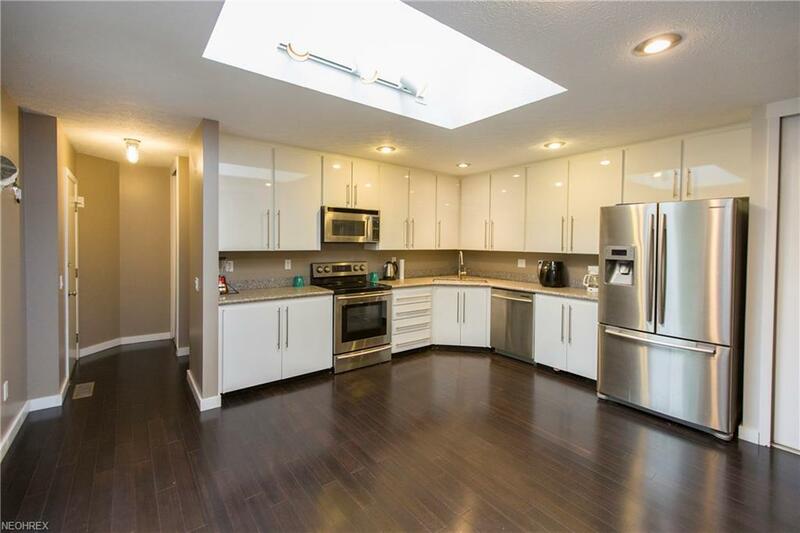 The spotless kitchen offers a striking center skylight, sleek floor to ceiling cabinets, granite counters, stainless appliances, and a huge pantry with sliding doors. Continue your entertaining with double glass-sliding doors which lead to a private patio. The delightful master suite has lots of natural light, ceiling fan, huge walk-in closet and ensuite glamour bath with double sinks and ample cabinet space for extra storage. This home features an additional bedroom with full bath and half bath for guests. The dual purpose laundry room/office has double closets, built-in cabinets and desk with accent lighting. All appliances stay including washer & dryer. The attached garage is over-sized to fit 3 cars with extra storage above. 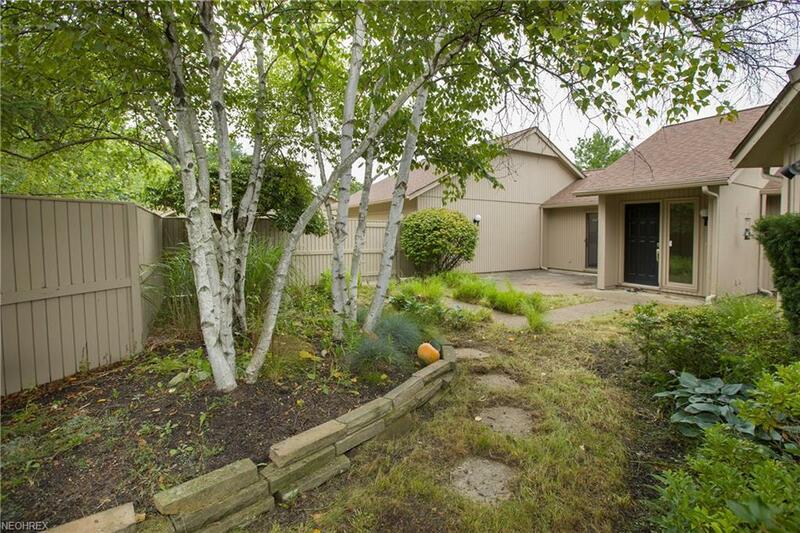 An added bonus is another private patio off the garage to complete this lovely home.